Mobikwik being one of the Best Wallet Service in India – Keep Running Exciting Offers and Deals (Cashback offers too). This time its a loot offer – Just Download Mobikwik app on your android Smartphone and Sign up for a new account to avail Rs. 10 Free Wallet balance. Offer is only valid for new Android App users for a limited period. 2. 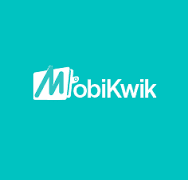 Sign Up for a new Mobikwik account. 4. Once Verified, You will get Rs.10 wallet balance within 24 hours in your Mobikwik Wallet.